Life and Death in Nature. It was a great day to photograph nature at the Sourland Mountain Preserve. 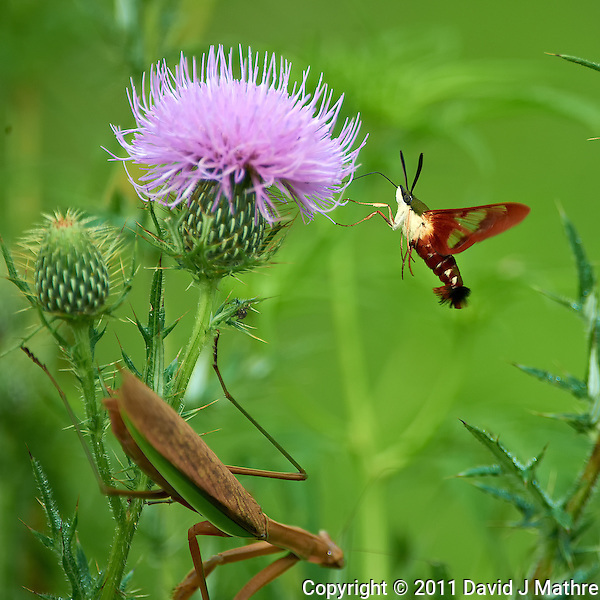 Many Butterflies, Clearwing Hummingbird Moths, Dragonflies,Summertime Nature in New Jersey: Sourland Mountain Preserve. 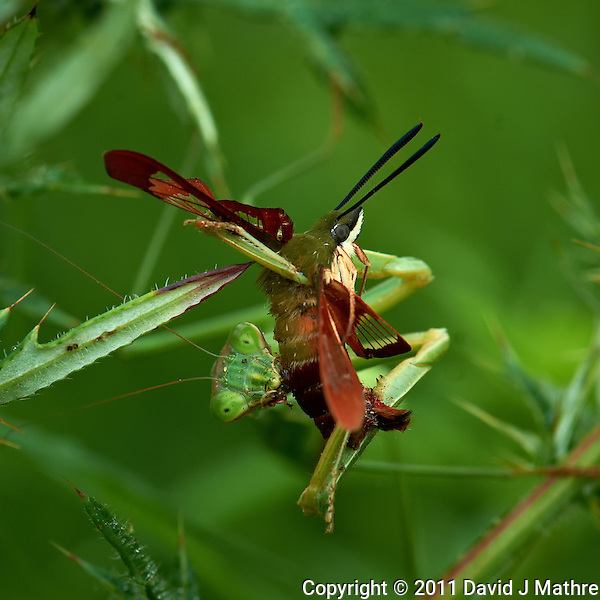 Robberflies, and a few Praying Mantis carnivores. I went in with two cameras, a D3s camera with a 300 mm f/2.8 VR with an TC-E III 20 teleconverter and a D3x camera with a 105 mm f/2.8 VR macro. Humidity was high, and I had to spend the first 15 minutes equilibrating the lenses so they were not fogged. 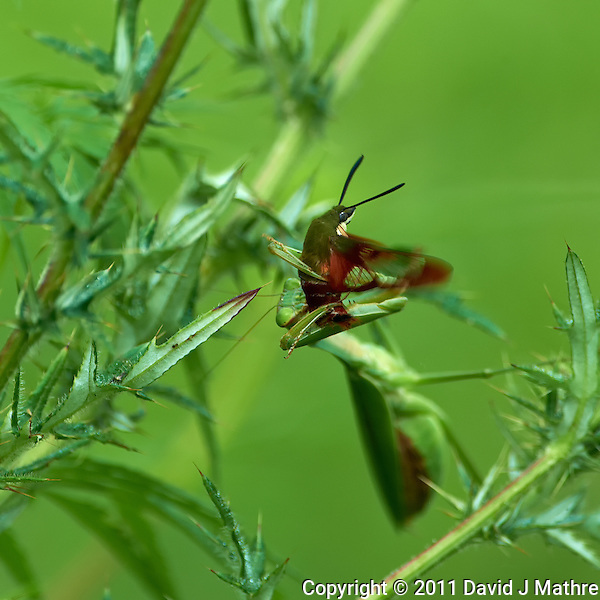 The first place I went to was the location I observed a Praying Mantis eating a Clearwing Hummingbird Moth yesterday. 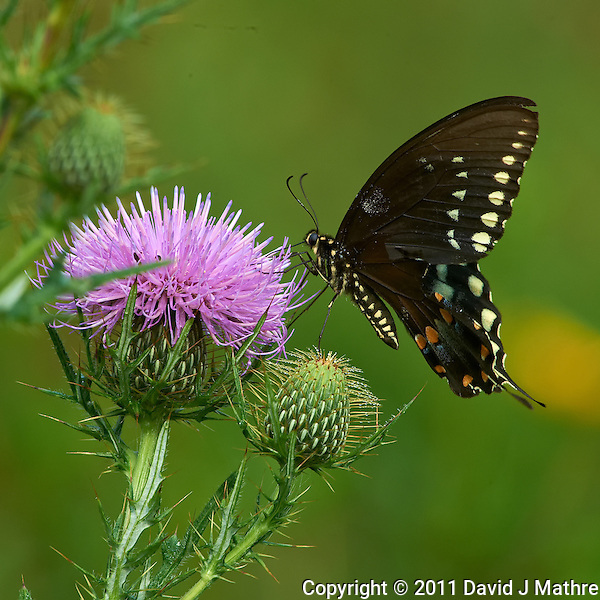 The first image is a Black Swollowtail Butterfly on a Thistle bloom. 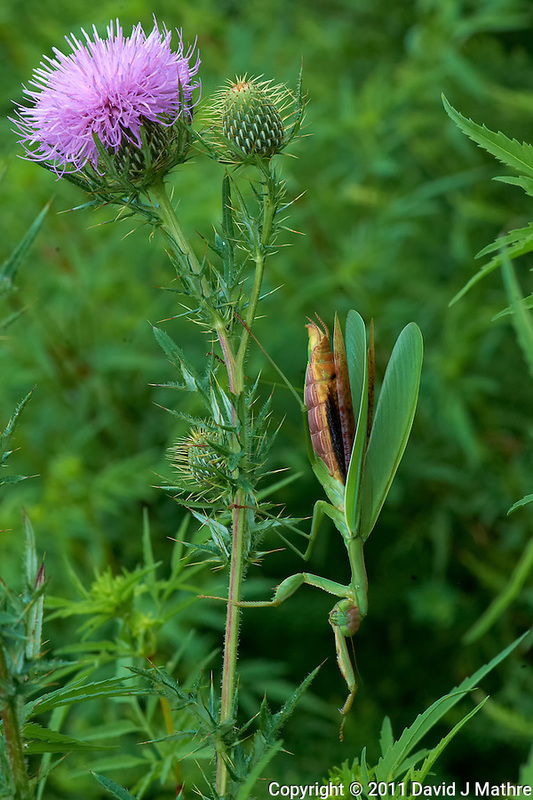 Soon thereafter a Clearwing Hummingbird Moth started checking out the Thistle blooms. DANGER! DANGER! It didn’t see the Praying Mantis. 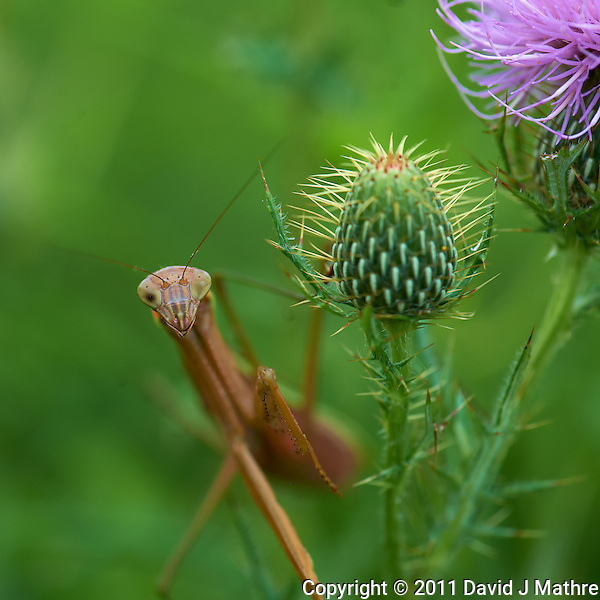 Minutes later the moth was breakfast for the Praying Mantis. 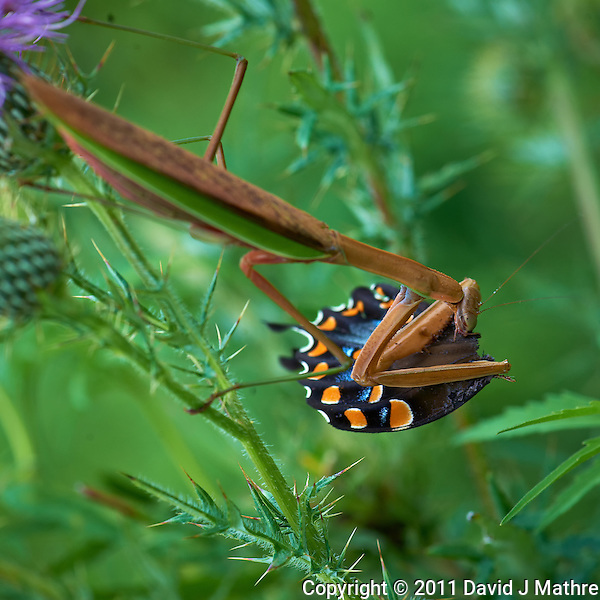 Later, another Black Swollowtail Butterfly was breakfast to a brown Praying Mantis.